LINE-X® industrial coatings are revolutionizing the mining industry by meeting several requirements of the Mine, Safety and Health Administration (MSHA) for mining applications. In August 2008, LINE-X met the requirements of the MSHA Standard Application Procedures for Sealants Applied to Underground Ventilation Controls (ASAP 5005). Failing sealant materials have been an ongoing concern for the mining industry for years. These seals are designed to stop the methane gasses from escaping into working areas, mixing with oxygen and becoming combustible; thus causing a huge threat to mining company employees. Recognizing this threat and the need for a superior sealant material, LINE-X designed XS-252 with both the physical and the fire retardant properties to satisfy MSHA underground ventilation controls requirements. 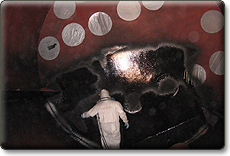 LINE-X XS-252 is a spray-on lining product that forms a monolithic membrane to minimize the effluent gaseous migration into the working areas therefore protecting mining company employees. MSHA has also accepted LINE-X XS-252 for the Standard Application Procedures for Acceptance of Flame-Resistance Solid Products Taken into Mines (MSHA IC-249). 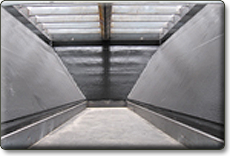 While molded or cast polyurethane coatings have long been the standard for the mining industry, LINE-X XS-252 was the first and only in its category to receive this suitability. Designed to protect against abrasion, corrosion and impact, LINE-X XS-252 also has exceptional flame retardant properties that are ideal during the event of a fire. 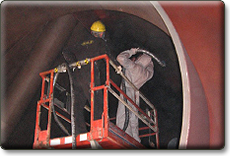 The high performance elastomeric polyurethane product can be applied to any type of underground equipment, regardless of shape or size. Plus, XS-252 has the potential for use in combination with mining equipment manufacturers to protect and extend the useful life of equipment, providing companies with added uptime and lower maintenance costs. 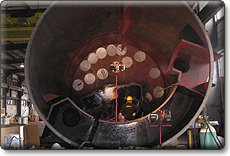 Prior to the MSHA certification, LINE-X XS-252 met and exceeded the specifications for British Flame Spread Standard BS 476 (Part 7), method for classification of the surface spread of flame of products, when tested by Bodycote, an independent material testing company; thus, satisfying the requirements for a Class 1 rating per BS 476 (part 7). LINE-X XS-252 also tested per ASTM E-162 “Surface Flammability of Materials Using a Radiant Heat Energy Source”. LINE-X XS-252 exhibited an impressive flame spread index of 20. This is extremely difficult and considered the most challenging flame spread test in the industry. For complete product information or test results, please contact Dustin Le, Director of Product Technology and Development at (714) 850.8758.